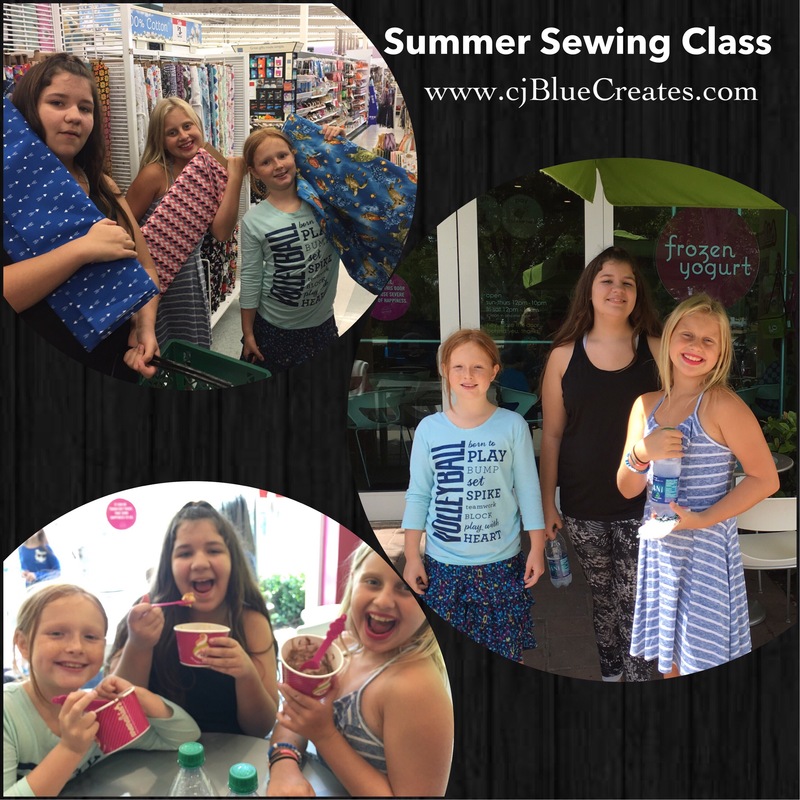 This week for Summer Sewing Class we took to the road for a field trip to Jo-Anne’s Fabric and Crafts. 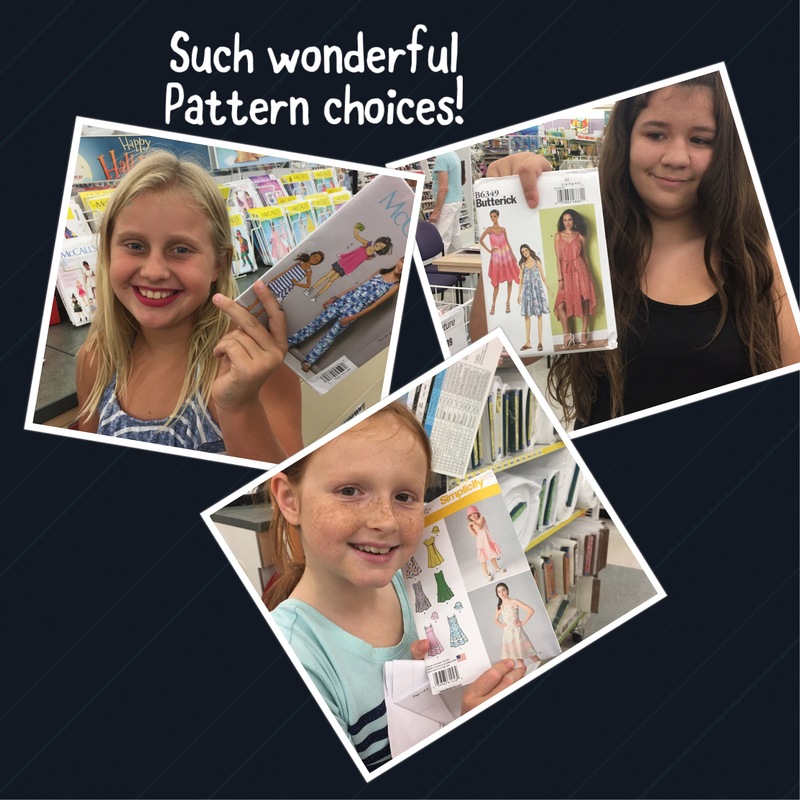 Brinsley, Alexa and Zayda were excited to go on our little trip and learn how to read pattern books and patterns. 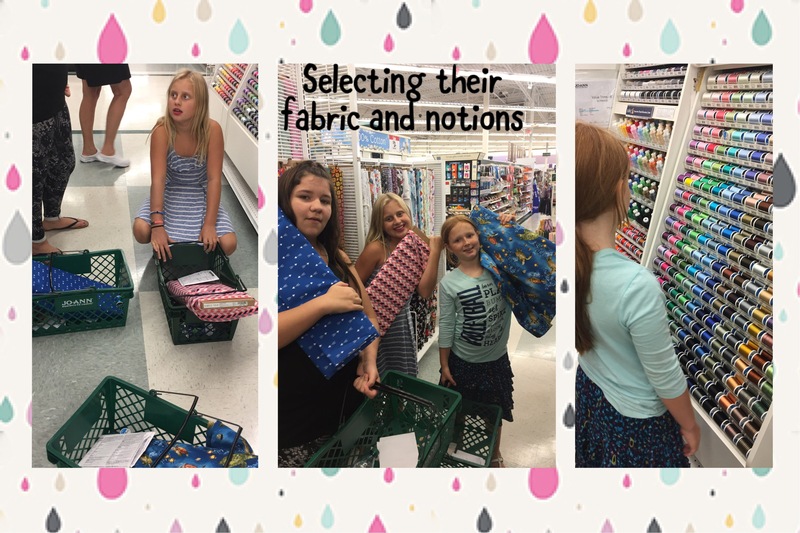 But they were most excited about all the fabric choices! The girls scoured the books for their perfect pattern and wrote down the pattern number. 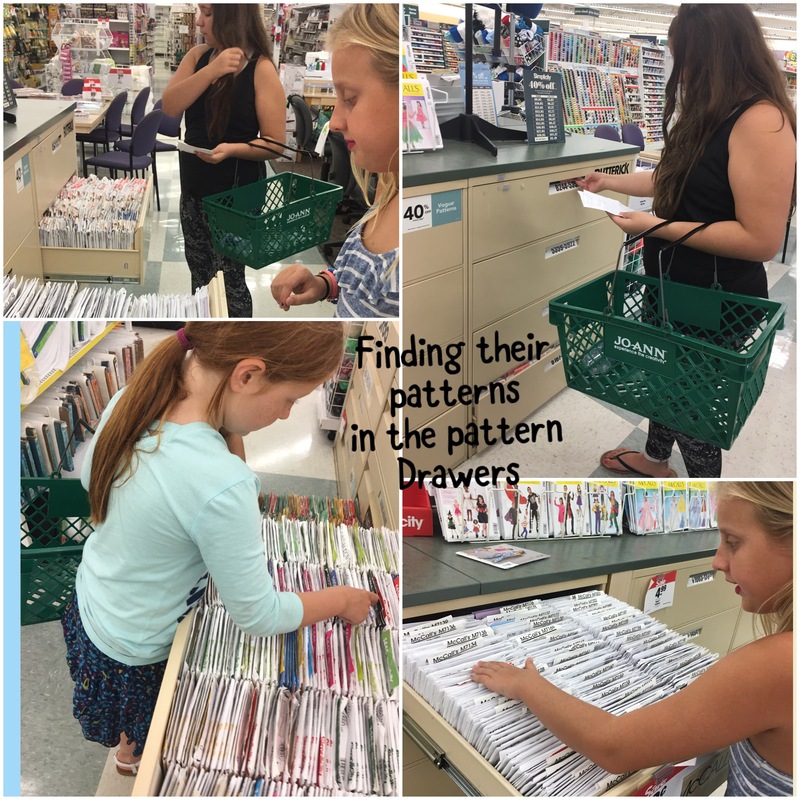 Then it was off to the pattern drawers to find their pattern. 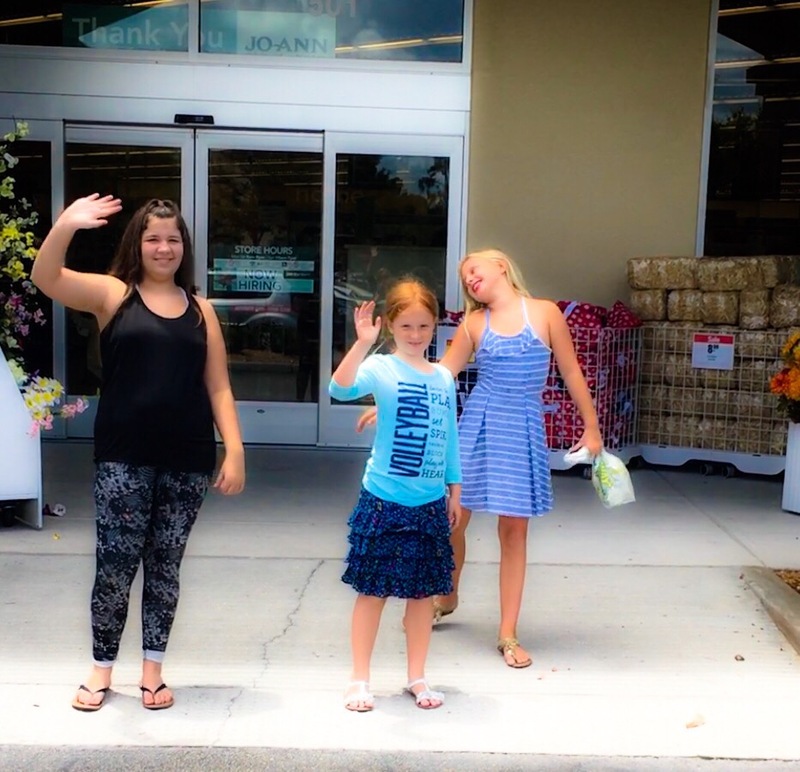 These girls are such the fashionistas! Next up – reading the pattern. 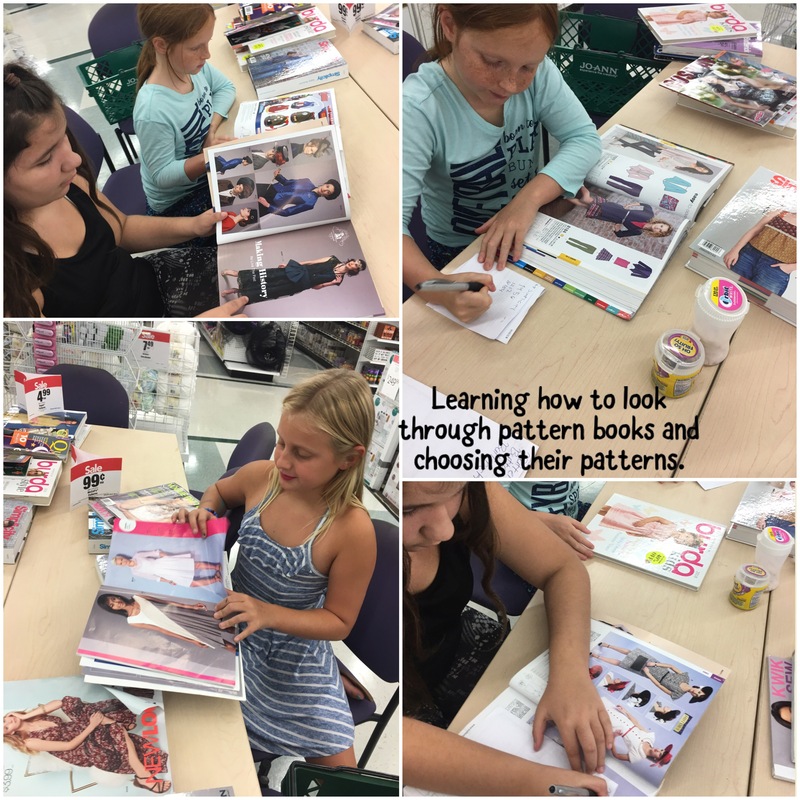 Finding all the notions needed to complete their look and finding that perfect fabric. 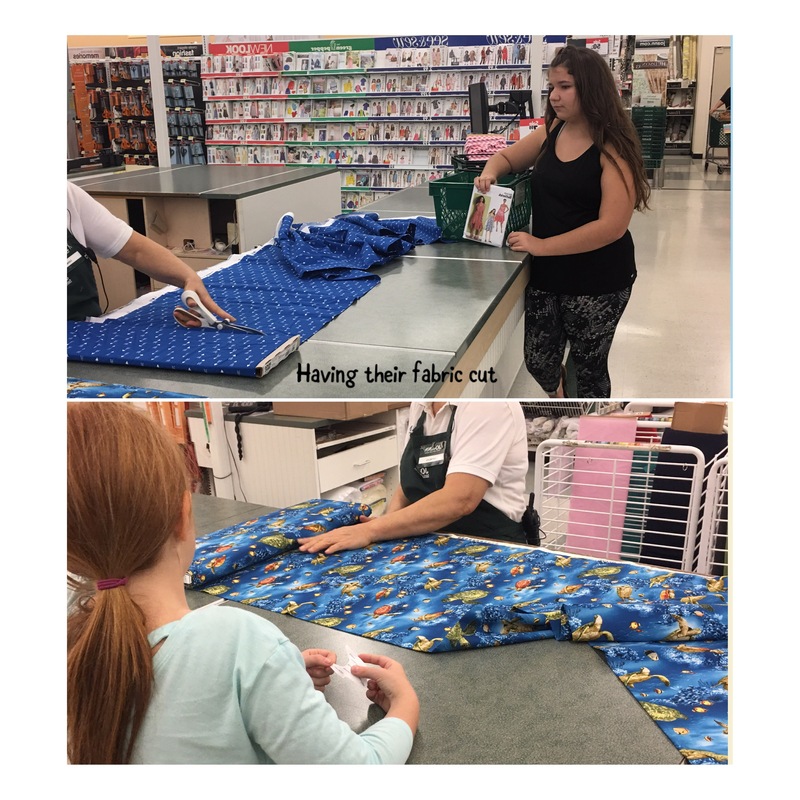 The girls did great on their own asking for the amount of fabric to be cut for their pattern. 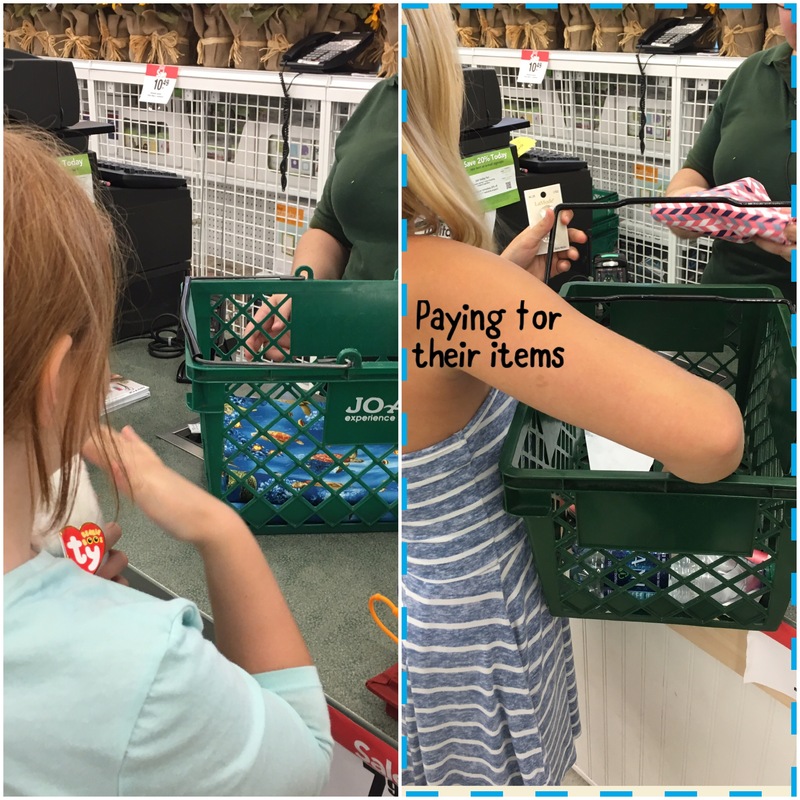 Off to the check out counter. 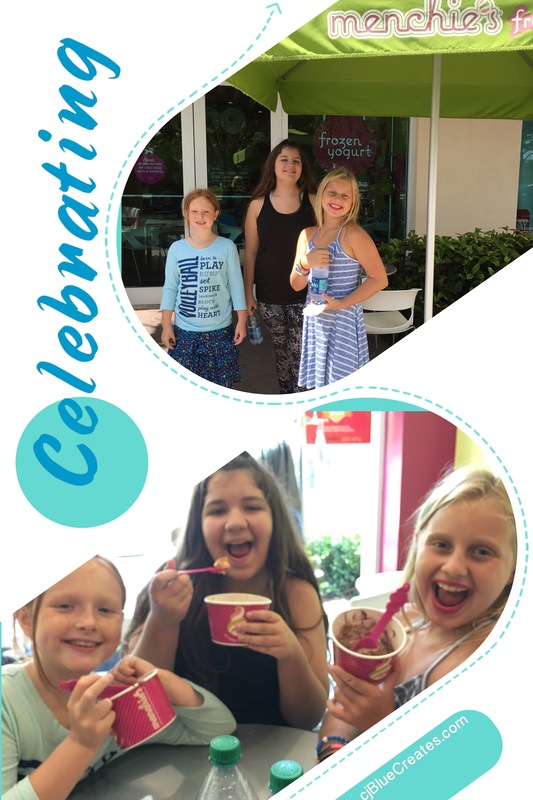 Time for a little celebration on our field trip – they successfully completed the class and learned how to read sewing patterns and purchase material and notions to complete their outfits. Check out our YouTube video of the field trip. Stay tuned for the next chapter- constructing the looks from their patterns……..